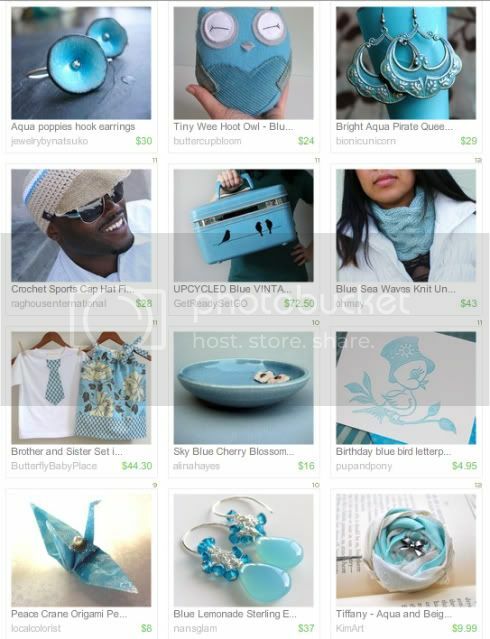 Butterfly Baby Place: I'm dreaming of Blue Skies with this Treasury!! So excited to be featured in this treasury, created by OceanAvenueSilks!!! It's absolutely beautiful, too! I think it's one of my favorite treasuries ever and that's not just because I'm in it. Just a really gorgeous collection. It makes me so excited for spring and lots of blue skies. We've been covered by clouds and lots of snow for a while now - I'm ready for spring. This is great taste of just that!